Here is a solid 9k. gold 33.5mm. 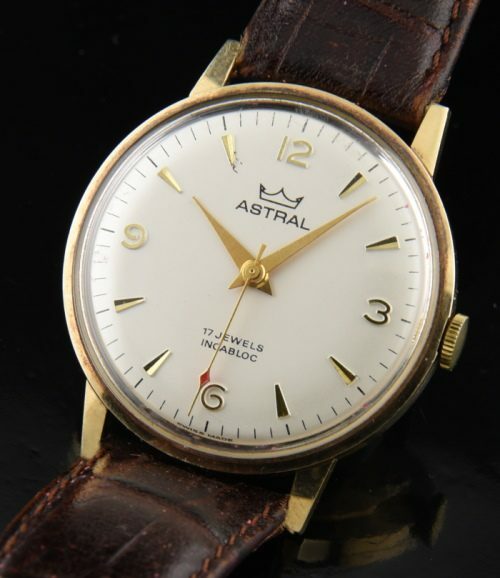 SWISS made ASTRAL watch with a great looking original dial having arrow markers and “Explorer” style Arabic numeral dial with original Dauphine hands. The manual winding movement was just fully cleaned and is accurate. I love the British rail presentation inscription on the case rear. 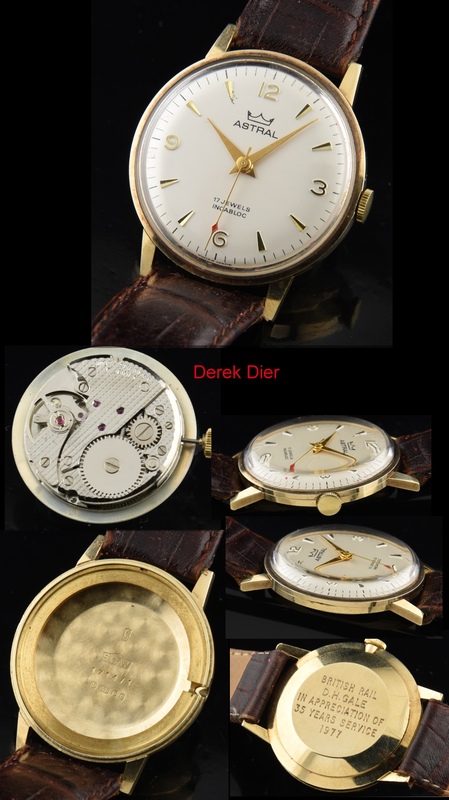 This is great value for a solid gold vintage watch.